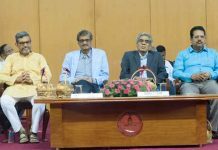 Chennai, 13th October 2017: The World’s largest Combustion Research Centre was inaugurated today (13th October 2017) at the Indian Institute of Technology Madras (IIT Madras). 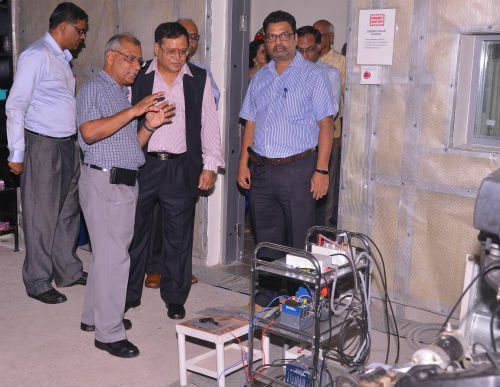 The National Centre for Combustion Research and Development (NCCRD) was inaugurated by Dr. V.K. Saraswat, Member, NITI Aayog, in the presence of Prof. Ashutosh Sharma, Secretary, Department of Science and Technology, Government of India, Prof. Bhaskar Ramamurthi, Director, IIT Madras, and others. Further, he said that specific programs Iike Coal Gasification, Alternative energies and others would also be set up. The Twin Centres located at IIT Madras & IISc would complement each other well. Dr. Saraswat said that the NCCRD has been set up as a Nodal Centre in the region. Any institute and industry can work with NCCRD as it is totally IT-enabled, possesses a strong simulation facility. “I hope it’ll become an internationally renowned centre. 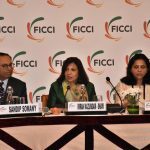 We’ve a lot of collaboration with international organisations,” added Dr. Saraswat. The establishment of the Centre will impart a major boost to the Indian Scientific Community and will provide an impetus to research in Alternative Energy and Environmental Protection by focusing on effective utilization of combustion as a means of thermo-chemical energy conversion. 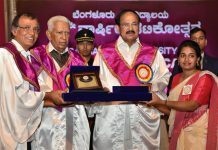 The Centre is supported by Science and Engineering Research Board, Department of Science and Technology (DST), Government of India. This research has applications in many industries, ranging from automotive to thermal power, coal combustion, aerospace propulsion and so on. With over 30 faculty members from six departments of IIT Madras working on this project, this is the largest grouping of academic combustion researchers globally. In addition, the infrastructure facilities are also the largest for any combustion research centre in an academic setting globally. “We’re proud of this facility. It has the strongest group of experts working on Combustion and will create a Strong Foundation in this important area. 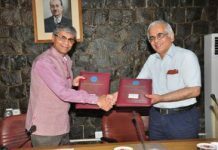 This has to be sustained, for which the Centre should work together with large stakeholders to diffuse the benefits to many areas,” added Prof. Ashutosh Sharma. 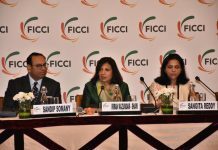 The inauguration was followed by a panel discussion on ‘Industrial Utilization of Combustion R&D’, which was participated by eminent members from the academia and industry, working in the field. The NCCRD has been established at a total cost of Rs. 90 crore. It will develop state-of-the-art capabilities in combustion research involving experts in the country. The research interests are in 3 major application sectors: Automotive, Thermal Power, and Aerospace Propulsion, besides fire research and microgravity combustion to minor extent.